BMW's announcement today of the Lime Rock Edition M3 was the final nail in the coffin for me. The company that claims more 24-Hour wins at the Nürburgring than any other manufacturer just launched a track edition M3 that offers no serious performance improvement over the current M3. It's basically bolt-on Pep Boys parts like a flat bottom Knight Rider steering wheel and special paint. And I'm guessing there is a Lime Rock track map sticker somewhere or a plaque on the dash that tells you this is something special. But that's just it. This isn't something special. It's simply a marketing exercise. A fraud. Not unlike pumping a fake engine noise through the car stereo like BMW does with the M5. It's for guys who want to be associated with racetracks but don't actually go to the track themselves. 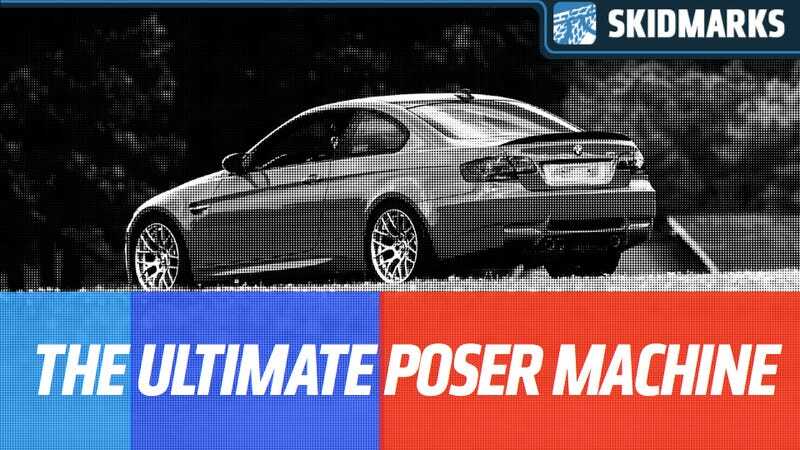 It's for the modern poser racer. A luxury version of those fast and furious Honda civics with race seats and belts but stock engines that kids drive around on the street. I can't wait to meet the guy that buys these Lime Rock editions. He's the one that checks out of his hotel in the morning wearing his fire suit for his BMW CCA driver school session that doesn't start till 10 am because he wants the girl at the front desk to know that he is "racing" today. That guy. The one that wears a firesuit because he wants to be a racer even though he's in his street car that he takes to the train every day. That's who will buy this car. So why is it so painful? The M brand used to mean something. Really mean something. To me and auto enthusiasts everywhere. I can't think of a performance division of a company with more creditability than BMW's motorsport brand back in the 1970s, 1980s and 1990s. To fully appreciate this you need a little history in BMW M brand. It was created to build homologation specials. Cars built for specific racing series in minimum quantity to meet the rules. It started with the M1 in 1978. Then came hand-build 5 series cars that at one point were the fastest sedans in the world – as delivered from the factory. Next came the original M3, known to us car guys as the E30 M3. Built by BMW for one purpose. To win races. And it won so much its known as the most winning chassis in touring car history. This was BMW's M brand. So what is it now? Besides the M3, we have an M1 (or 1 Series M Coupe so it's not to be confused with the real M1). Now to be fair BMW ran the new M5 — yes the one with the fake engine noises — in One Lap and it won its "Luxury Sedan" class. So my point is that BMW no longer makes high performance automobiles known as the Ultimate Driving Machine. They now make luxury automobiles that are the ultimate motorsport poser mobile. There is no car that says "I want to pretend I'm a performance driver, a racer, but never go to the track" more than the current M brand. It's a fraud leveraging the company's rich racing history and it pisses me off. Let's took a look at that racing history that the brand was created for. When was the last time BMW won an F1 race? Le Mans? Any of the large sports car races other than Sebring? I'm ignoring Grand Am where BMW races against KIAs and Dinan builds engines for a prototype team. That doesn't count as a factory program. About the only major race on the planet that BMW M won that impressed me as an enthusiast was the Nürburgring 24, which happened last in the ALMS M3 car in 2010. Ever seen that ALMS car? Its nothing like the production car we buy. It has double wishbone front suspension. EVERY M3 ever sold has McPherson front struts. And we haven't even gotten to the weirdo rear transaxle deal with its built-in air conditioning pump. Huh, was that a factory option? My point is that BMW used to build amazing street cars to meet the rules of racing and win. Now they choose races with loose rules and bring cars nothing like the one we buy and turn around and sell us models that have nothing to do with racing other than the sticker on the dash. BMW Marketing Guy 1: Guys we really need to leverage our M brand. Let's release an M3 with a race track associated with it. Yeah like that big one in Germany Nutterburgerringring or something. But I hear that place is expensive to rent, maybe we should use that track near headquarters here in the US, Lime Rock? BMW Marketing Guy 2: Yeah! BMW Marketing Guy 1: Don't we already sponsor that track? Sweet, lets make a lime rock edition. BMW Marketing Guy 2: Whats that mean? BMW Marketing Guy 1: I dont know but people will think its special. BMW Marketing Guy 2: Really? Why? BMW Marketing Guy 1: Well, because we'll paint it a special color and add all our interior add ons like the Knight Rider wheel with the flat bottom! BMW Marketing Guy 2: But shouldn't it have a signfiicant increase in performance to have a racetrack badge on it? BMW Marketing Guy 1: No, No, No, the car doesn't need to be faster or handle better because we named it after a racetrack! Just the opposite. Leave the engine the same and give it one of our handling packages that we already have. Like the competition package, that sounds like it should be on a track car. BMW's Motorsport Brand has lost its soul, and will slowly fade into marketing mediocrity. A friend pointed out another company with a rich history in racing that abandoned its roots and went after the luxury auto market: Saab. Obviously, BMW wont go bankrupt anytime soon, but what happens when all the luxury buyers that fell in love with performance brand in the 1980's stop driving cars? I don't have that answer but three years ago I asked a marketing executive at BMW this exact question after he told me BMW was supporting Golf and Yachting.